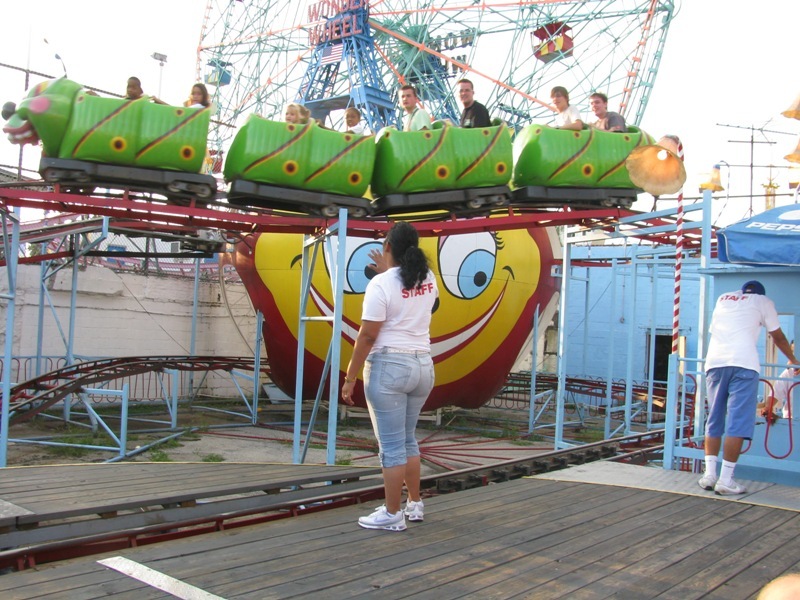 As the Cyclone is really the only remnant of Astroland, I'm just going to review the Cyclone. I mainly wanted to ride for the historical factor. I got to ride front row. While I didn't hate it, I didn't love it either. I can see why this has been cloned over the years, but still the original is the best. I look forward to seeing what GCI is going to do with re-tracking the coaster. Hopefully in 2012 this ride can go from average to me to just a bit higher than average. Astroland is full of ghetto fun from a cheesy aquarium to individually painted trash cans. To me, Cyclone was good and not overly rough, even in the rear. Plenty of padding to go around. Overall, the area seemed safe, but I wouldn't be caught there alone at night. I honestly love this park. There is something so cool about having a park in the middle of the city that is soo cool to me. 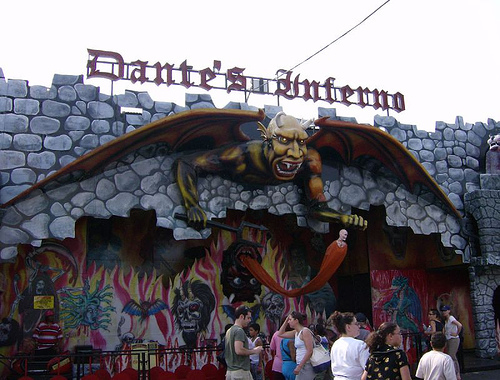 The fod is good and I love the awesome,(corny) dark rides. There are a really good amount of kids rides and the classic rocking ferris wheel. This is a great park with a very nostalgic feel. Okay, the thing I loved most about my trip to Astroland was the cheese/dirty/naughty factor. The freak show and "Shoot the freak" were just awesome as were the incredibly cheesy dark rides! I remember that the ride operator of the Breakdance sent us on one of the most psychotic breakdance rides I've ever been on. About the Cyclone: It is historical and stuff. I made a grave error in judgement and rode it first in the back. This HURT! The ride is 80 some odd years old and in the back you feel every bit of it. Since I am insane, I rode again near the front - OMG, this is still one hell of a ride and I can now understand why there are so many "clones" out there. I can say, none of them really do the original justice for me. 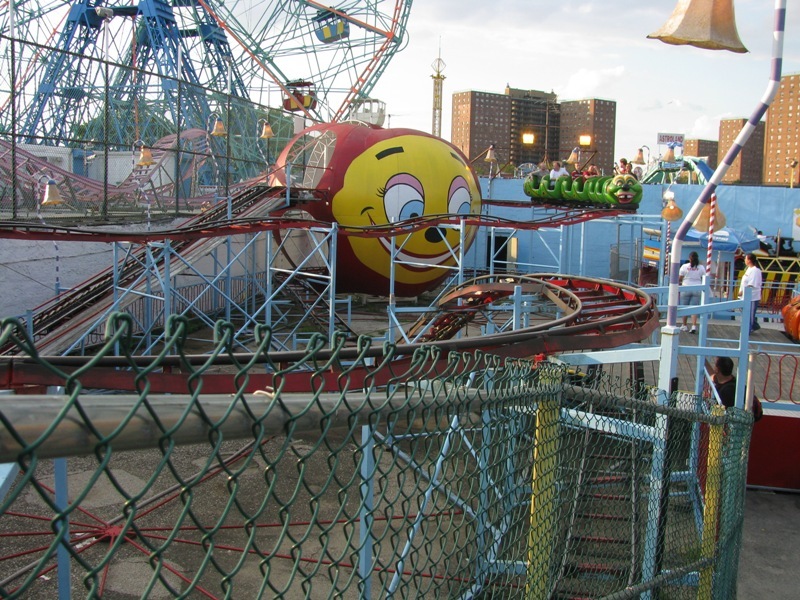 About the Wonder Wheel: Ferris wheels are evil and scare the crap out of me, so i decide to ride on where the cars roll along tracks? Never - ever - again!